AEL, chartering sea and air freight for the oil and gas / project industries. We are consultants/brokers for and on behalf of freight forwarders, shippers, suppliers and consignees specialising in the chartering of sea and air freight for the oil and gas/project industries. Our range covers MPV's, heavylift, short sea, offshore vessels, antonovs. AEL also cover dry cargo chartering, ro/ro and container markets. drilling fluids, accommodation modules and more. 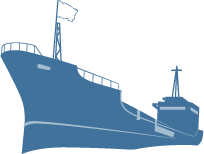 Turbines, generators, dredgers, yachts, locomotives and more. Aberdeen Export Limited is committed to ensuring that your privacy is protected. Should we ask you to provide certain information by which you can be identified when using this website, then you can be assured that it will only be used in accordance with this privacy statement. Aberdeen Export Limited may change this policy from time to time by updating this page. You should check this page from time to time to ensure that you are happy with any changes. This policy is effective from 15/04/2015.